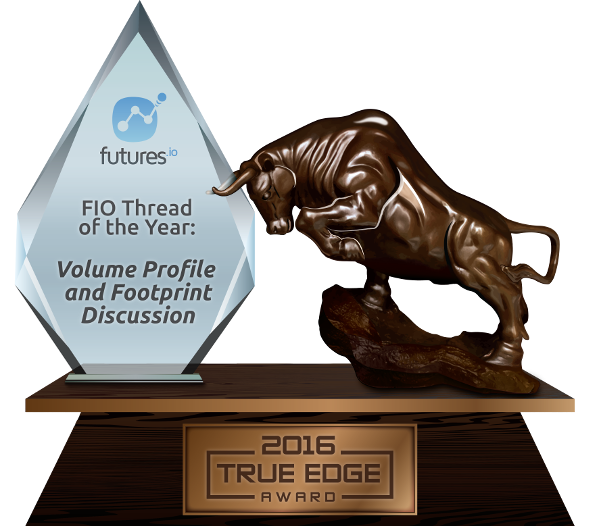 The True Edge Awards consist of the best trading products and services available to traders, as nominated by the members of the futures io (FIO) community. Members begin by submitting their nominees for each category, such as best broker, best platform, best product, and best members of our own community. Once the nomination process is completed, a vote occurs where each member may vote for the top choice in each category. When voting has ended, the winners for each category include the 1st place (Gold), 2nd place (Silver) and 3rd place (Bronze) selections. 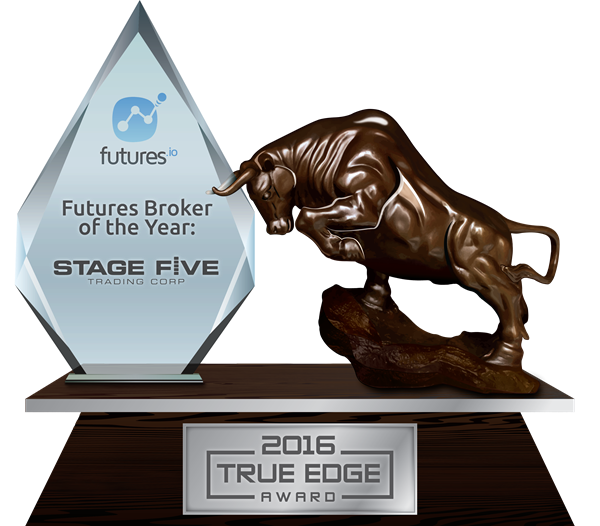 In the broker category, members select the best futures broker as well as the best options broker. Choosing the right broker is a critically important task that requires a lot of research and understanding (read broker reviews here). It also carries some risk - for example, in the event you have a problem and need quick assistance to resolve it, or possibly in the situation where a broker is forced to shut down or becomes insolvent, putting your deposited funds at risk. Not all brokers offer the same level of service. Some brokers are focused on low margins and ultra low deposit requirements to open a new account, which may indicate they are targeting the new or inexperienced trader who doesn't understand the consequences. Coincidentally, this may also mean that such a broker may have a very high turnover of accounts (as traders focused on low margin or low deposit requirements may not last long in the market), which may possibly impact the type of service they are able to provide to each customer. Other brokers may cater to a more experienced crowd with a different level of risk management. As a result, these brokers may have higher margin requirements as well as higher minimum deposits to open an account. More experienced traders realize that higher margins and deposit requirements are prudent for proper risk management (learn more about risk management with our educational webinars). You may also find that a broker with these types of more strict requirements may be in a position to offer a higher level of customer service, as their account turnover may be much lower. In the platform category, members choose the best trading platform for Desktop (Windows/Mac) as well as the best mobile trading platform (Android/iOS). Most traders will use just one trading platform, but you should consider that one single tool may not always be enough for a complex job. Using more than one trading platform is just like using multiple tools from a toolbox to finish a project. While many trading platforms will be included for free or very low cost when you maintain an active brokerage account, you shouldn't automatically dismiss a platform just because it isn't free. Some of the more advanced platforms may have a premium price tag, but that price is easily justified when you realize what they have to offer. In many cases, their monthly fee or subscription cost is easily recovered with just one or two good trades. Different platforms will have different feature sets. For example, some focus on extensive backtesting capabilities, some on user extensibility allowing custom indicators and tools to be created and shared, others focus on algorithmic server-side execution and spread trading, and many more focus on the simplicity of user experience for the more casual user. There are hundreds of trading products out there. Everything from order flow software, live trading rooms, indicator packages, trade mentors and coaches, to custom strategy scripts. There are enhanced scalping DOM's, alternative funding sources, and risk analysis software, plus countless others. How can you choose? Our community has an extensive library of trading product reviews for all of these third-party vendors. And you'll be happy to know that unlike other sites, our reviews require a barrier to entry meaning that someone can't simply register an account and post a fake review. It's unfortunate, but true, that many vendors in this industry resort to gross misrepresentation of their products, including creating fake reviews promoting themselves. Countless vendors like this have been banned from the site, and they aren't too happy about it. For many traders, the data feed that comes from their broker or that is included in their platform, is the only one they will ever use. But the more advanced traders recognize the need for high-quality, reliable, and accurate data -- for both real-time as well as historical. Not all data feeds are created equally. Some data feeds are built for execution. Some are built for accuracy. Data Feeds provided by brokers may focus on low latency to ensure the level 1 price data their client is receiving is as up-to-date and real-time as possible, even if that means sacrificing accuracy by dropping some level 2 information from the feed (sometimes called "filtered data"). Some of these broker provided data feeds may not provide much in the way of historical backfill, or may offer incomplete backfill (such as no tick data, or no synchronized bid/ask data). Whereas some data feed specialist providers will focus on accuracy and completeness, even if that means a higher latency. In that case, the specialist provider may offer extensive tick data backfill with complete historical bid/ask, and will make a commitment to not drop packets in order to speed up the delivery of the feed (sometimes called "unfiltered data"). Some trading platforms allow you to combine both, to get the best of both worlds. You may have a chart that is built from a data specialist provider that contains extensive and accurate tick data, while real-time data displayed on your DOM may come from the broker itself. Whether or not this is important to you will be dictated by the type of trading you do, and the requirements of the tools you are using. One example is that Volume Profile and Cumulative Delta analysis require extensive and accurate historical tick data with bid/ask backfill. Our community exists today due to the fantastic support from our members. The majority of active users are Elite Members, meaning they have paid a one-time fee of $100 to show their support for what the community stands for and the content we organize and deliver. It is because of this vested interest in the community that the members on futures io have a reputation for being the most helpful around. There is absolutely zero tolerance for rude behavior, and very few members risk losing their membership permanently. Instead, our community is built around openly helping each other in a friendly and polite way. Because of this, futures io has an excellent signal-to-noise ratio. You don't have to waste a lot of time reading through unwanted posts in order to arrive at the answer you were searching for, as the content on futures io is on-topic, highly organized, and well moderated. These threads can be considered live trading rooms, as hundreds of participants are sharing real-time ideas and trades throughout the day. Some of the most popular live chats and live trades on futures io take place in "The Scalper's Journey" (Elite Members only). The thread routinely has more than 100 posts per day, and is primarily focused on short-term scalping of the E-mini futures and Crude Oil futures. Another favorite of longer term traders (non-scalpers) is the "ES SP500 Spoo-nalysis" thread (Elite Members only). In this thread, the discussion is centered around the E-mini S&P 500 futures. In the "Volume Profile and Footprint" thread (Elite Members only), the methodology and concepts of Volume Profile are discussed in detail. This thread also features Footprint or Volume Ladder trade discussion. The posts here are not real-time trade calls like in the other featured threads above, but instead focus on studying the method itself and implementing it into your trading. These threads represent just three of thousands of discussions on all kinds of trading instruments, including every E-mini futures contract, commodities like Gold and Crude Oil, interest rates and bonds in the treasury markets, as well as currency futures. You'll also find thousands of discussion topics on risk analysis, algorithmic trading, trading psychology, and market news. One of the most popular activities on futures io are Trading Journals. We have two categories of journals, one for non-Elite Members and one for Elite Members. Many members often ask "Why should I create a trade journal? ", and the question is answered countless times by those with the experience of doing so. By committing to a public journal, you hold yourself accountable. The biggest issue most traders face is related to accepting risk, so by posting publicly you will be more likely to follow your plan and also acknowledge your errors. When you don't post publicly, you are far more likely to gloss over the errors you've made and dismiss them as unimportant or rare events. It is human nature. However, once you start making posts routinely, you can find patterns in your behavior by analyzing your past. These patterns are near impossible to discover without a detailed journal. It is important to realize that a trade journal is not a spreadsheet consisting of trades (a great trading metrics spreadsheet can be found here). Such a spreadsheet can be an important tool when analyzing risk factors, but a journal is much more than a line entry on a spreadsheet. With a journal, you can share screenshots and explanations of why a trade was entered or exited. It is difficult to condense that down into a few words on a spreadsheet. One of the greatest resources available on futures io is our huge library of trading webinars. In fact, you can find hundreds of trading webinars on a wide array of trading topics. We generally add around two new webinars each week, and Elite Members can attend live to get their questions answered. FuturesTrader71 Webinars: one of the most popular members of futures io, Morad Askar speaks often about volume profile, risk analysis, trading habits, and execution. NinjaTrader Webinars: many of which are presented directly by Raymond Deux, the Founder and CEO of NinjaTrader, the most popular platform on futures io. Day Trading Webinars: dozens of webinars that focus on day trading methods by several well known traders. Options Trading Webinars: several webinars that specialize in strategies for trading options. TopstepTrader Webinars: several of which are presented directly by Michael Patak, the Founder and CEO of TopstepTrader, a firm that specializes in trader education and funding. Al Brooks Webinars: one of the most popular guest speakers on futures io, covering a wide array of trading topics. Jigsaw Trading Webinars: presented by Peter Davies, the Founder and CEO of Jigsaw Trading, a technology company specializing in scalping software for traders. Linda Bradford Raschke Webinars: Linda is one of the most respected traders of our time, and enjoys discussing methodology and psychology. Trading Technologies Webinars: presented by Patrick Rooney and the team at Trading Technologies, speaking about ADL, X_Trader, and the TT platform. Tradovate Webinars: presented by Ryan Hansen, the Founder and President of Tradovate, a trading platform and brokerage offering commission free trading. Matlab, R and Python Webinars: the use of Matlab, R and Python is popular in quant trading, and several presenters have talked in detail about them. IQFeed Webinars: presented by Dave Forss of DTN IQFeed, IQFeed is an award winning data feed for traders. Backtesting and Algorithmic Trading: one of the most popular topics is algorithmic trading, and many presenters have covered a wide array of topics on this subject. You will find many fantastic programmers on futures io that are willing to help you solve problems by answering questions, as well as by openly sharing their work with the community. 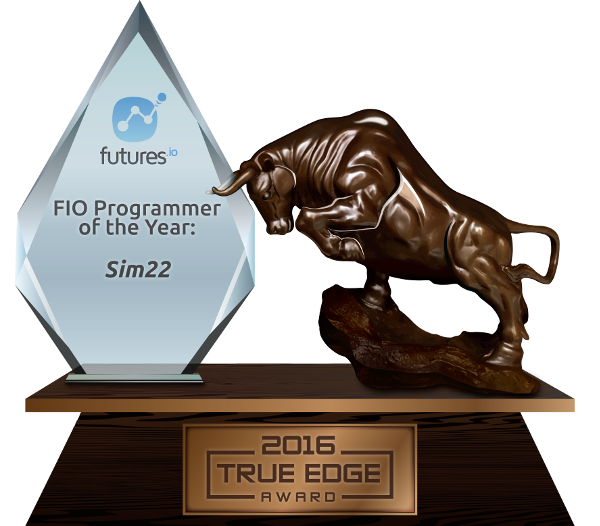 Programmers like Fat Tails, Gomi and Sim22 have released hundreds of trading indicators that have been downloaded by tens of thousands of traders. In fact, on futures io there are several thousand indicators available in total for Elite Members to download. If you need a question answered, post it in one of our many programming forums (organized by trading platform), and an experienced programmer will respond. You can also hire a programmer via a paid job using our Hire a Consultant or Programmer section (for Elite Members only). A trading platform such as NinjaTrader can be highly customized by adding custom user contributed indicators to it. In fact, futures io has thousands of such indicators (available to Elite Members for free). Many of the most advanced indicators available today originated on futures io, and were created by users of our community. It's unfortunate, but some vendors steal content from our site and then sell it as their own -- often times for hundreds of dollars. You should always check first to see if the original indicator is available for free here on futures io. Which indicators should you use? VWAP is probably a great addition to nearly any chart, and stands for Volume Weighted Average Price. If you want to continue the Volume Analysis, you might also look at chart tools like Volume Profile tools, many of which are discussed in this discussion thread covering Volume Profile and Footprint trading (link to Volume Profile and Footprint thread). Another popular chart indicator tool includes Market Profile (AltoGomMP is one for NinjaTrader). Session Tool indicators help you statistically analyze the trading session for likely probabilities, the most popular of which for NinjaTrader is written by Fat Tails (link to Session Tools for NinjaTrader). Many users prefer to look at their chart using a UniRenko bartype for NinjaTrader. UniRenko was created by futures io member Monpere in 2012, and has been updated and maintained by the community since that time, including a UniRenko for NinjaTrader 8 version. If you have an indicator you want modified, or have an idea for an indicator and you need someone to help create it, check out our "Want your NinjaTrader indicator created, free?" thread (for Elite Members). Thousands of posts have been made exchanging indicators in this thread, helping members with modifications and creating new indicator concepts.